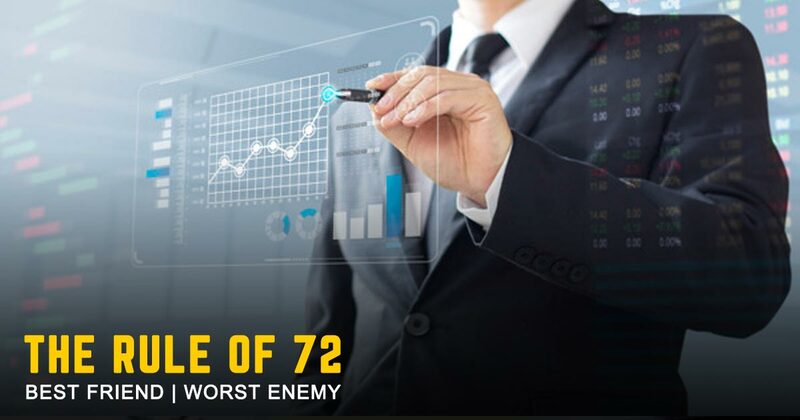 The Rule of 72: Will it be Your Best Friend or Worst Enemy? 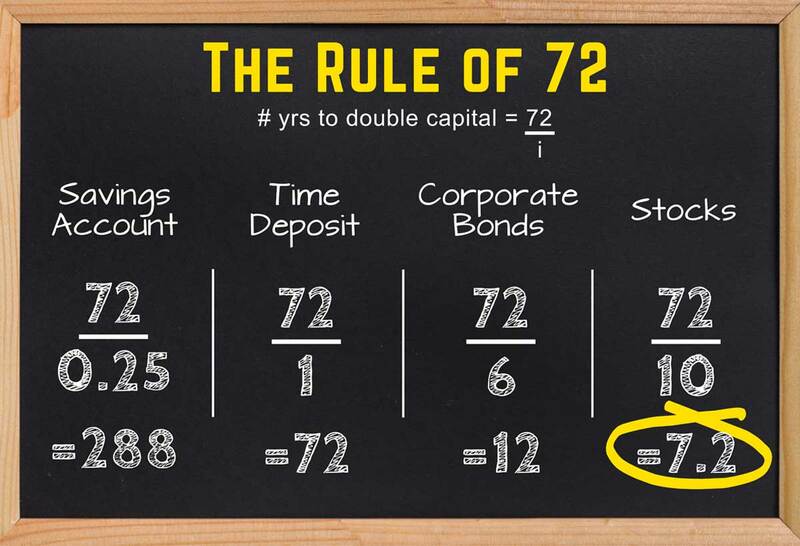 Are you familiar with the rule of 72? I guess some of you might know it well because this isn’t something new especially to those who have been reading investment books and articles online. The rule is just an approximation from the basic formula of compounding interest. To save my brain cells from dying, I will just talk about how it can be useful to you excluding the derivation. Did you know that this humble formula is most associated with Einstein because of his famous quote about compounding interest? Remember “Compounding interest is the 8th wonder of the world. He who understands it…earns it and he who doesn’t…pays it.” Yes, that was Einstein’s and today you will learn why he made that statement. The formula is rather straight forward, you just need to know the interest rate and you’re done. 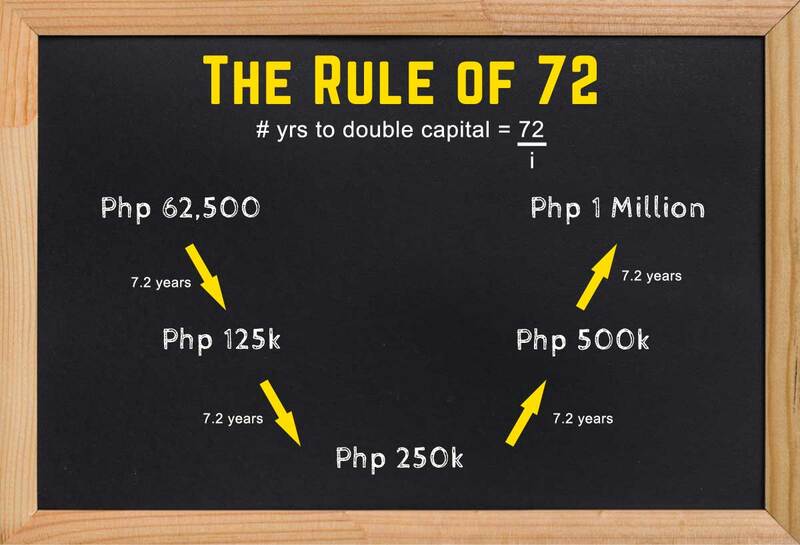 72 is just a constant number and when divided by the interest rate it will give you the number of years you need to double your capital. When using the formula you must use the interest rate as a whole number. So if you’re going to invest in a financial vehicle that gives 6% p.a. then it will take you 12 (72 divided by 6) years to double your money. Basically, that’s it. You just have to divide 72 by the interest rate of the security you are planning to buy. But of course, knowing how to use the formula is just half of the battle. Now that you know how to use it then we may proceed on how you can practically apply the formula. This will give you a quick insight on how much yield you may expect from any investment you’re planning to make. This is best explained with an example using the interest rates usually available for investors like you. 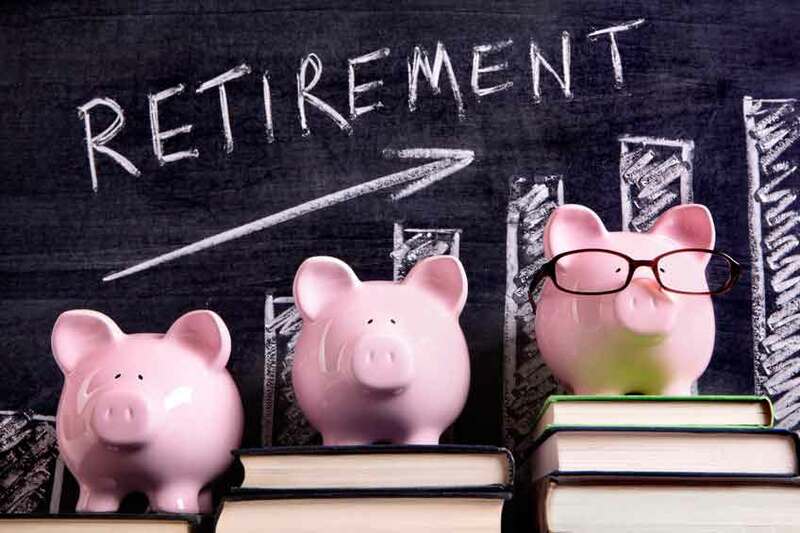 For comparison purposes, we will be using the interest rates you can normally get from the banks (regular savings and time deposits), interest from corporate bonds and the stock market. Saving account at 0.25%, time deposit at 1 %, bonds at 6%, and stocks at 10% p.a. If you put money in a bank let’s say Php 62,500 then it will take you 288 years before it will double at Php 125,000. 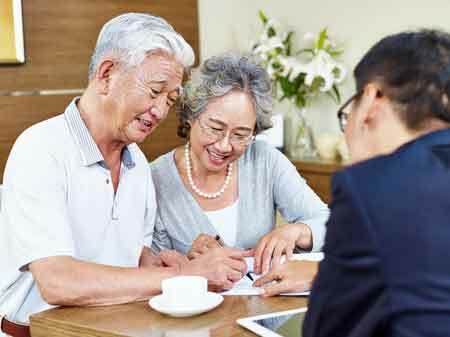 But when you put it in a time deposit, it will be cut short at 72 years. Still, that seems too long, right? But when you decide to invest in a corporate bond with 6% p.a. then you’ll only need to 12 years to double and only 7.2 years if you invested in stocks. Meaning if you’re already happy with your time deposits then how much more if you invested in bonds or stocks? 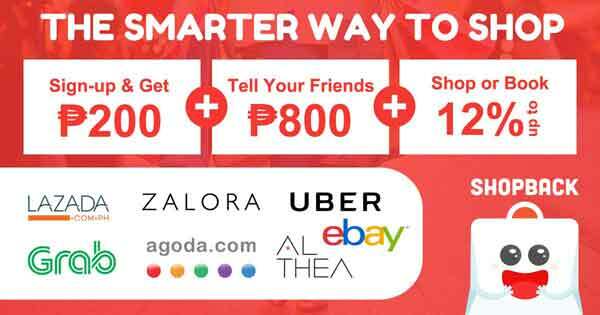 Don’t you think Php 125,000 is still small to be your target amount to have in the future? Think of it as the first step and now we can proceed to the second and then the third and so on. Probably you would want to know how long it will take you to make your Php 62,500 into Php 1 Million. That’s correct. 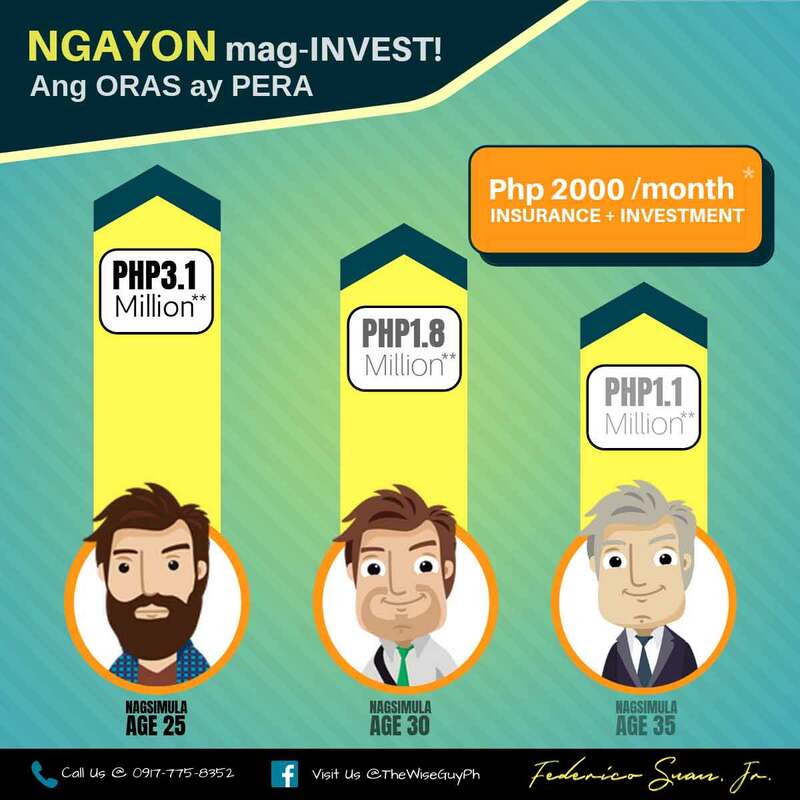 You needed 28.8 or let’s just say 29 years to make your investment grow into Php 1 Million. That’s not bad at all considering you just made a one-time investment. So what more if you plan to invest on a regular basis. Just what Einstein said, knowing how to use compounding of interest is power as it can be your best friend. But if you don’t then you might pay the price, hence becoming your worst enemy in achieving your financial goals. Just like the examples above if you are planning to save money in the bank then you are losing some opportunity for your money to grow. At the end of the day, these are just recommendations and you’re still the one in charge of making the decision with your money. And I hope you’ll make a wise choice. Hi! This is Engr. 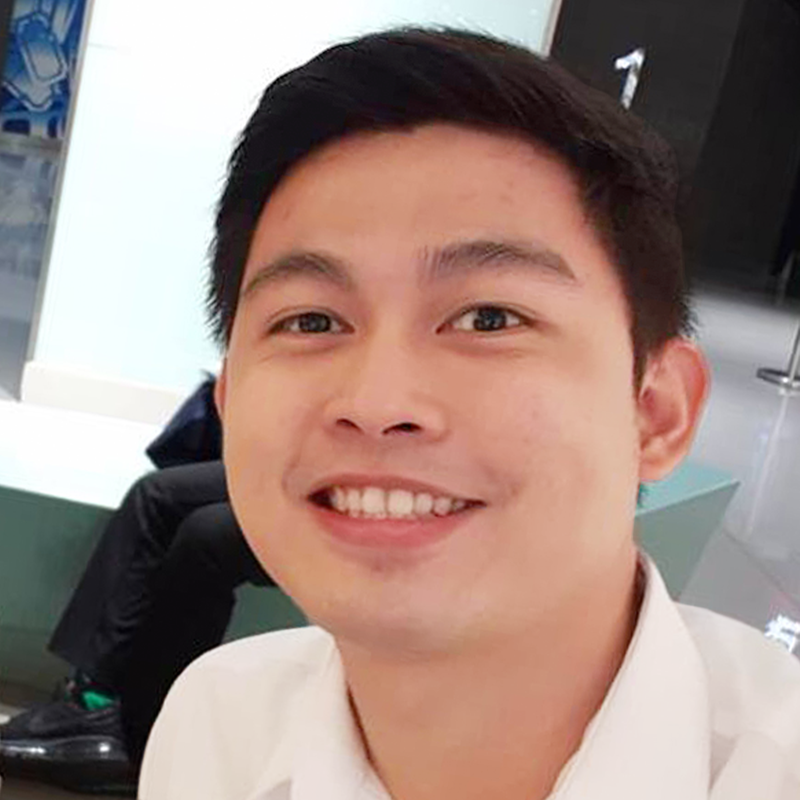 Federico Suan, Jr. a registered Electronics Engineer and a proud Financial Advisor of Sun Life. 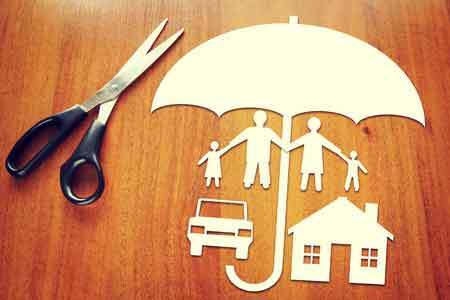 I am Licensed Insurance agent by Insurance Commission. 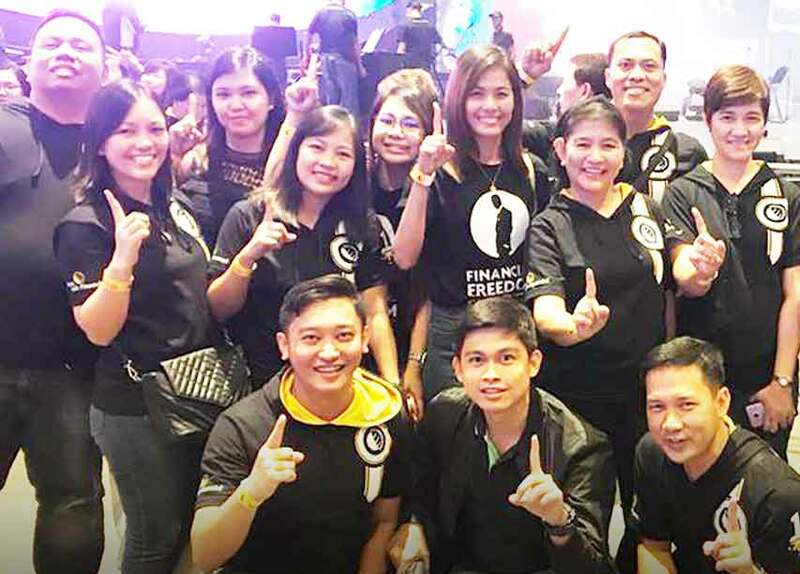 My mission is to develop financially wise Filipinos thru proper wealth management. 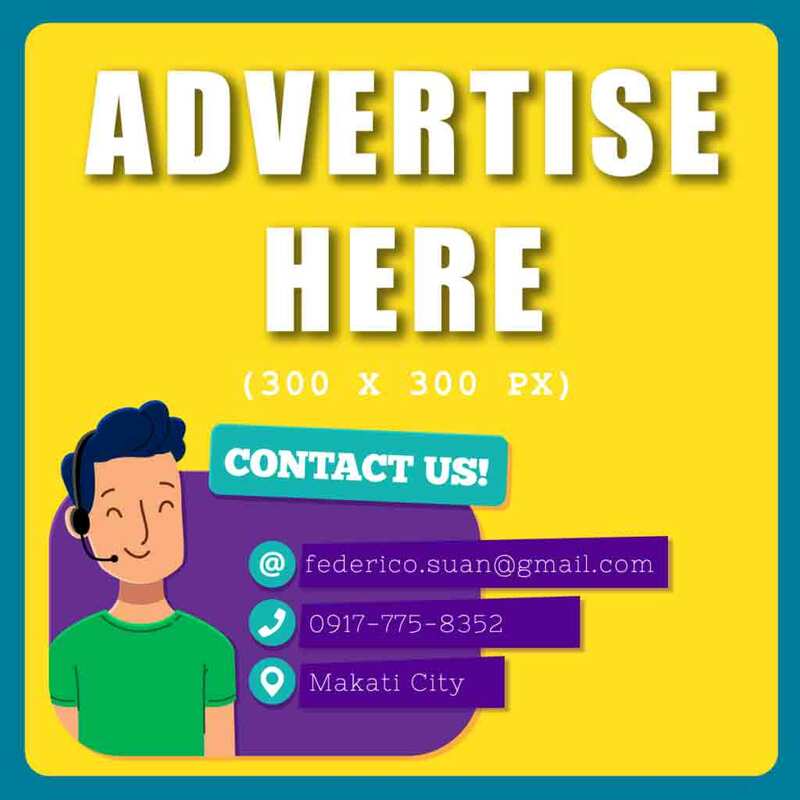 For your immediate concerns, you can text/call me at 0917-775-8352 (Globe) and 0928-603-0127 (Smart) or e-mail me via federico.suan@gmail.com. 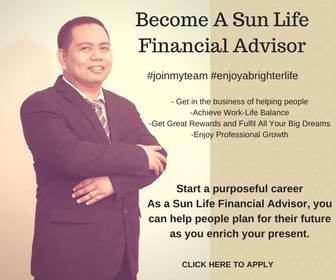 You can also send an e-mail at my official Sun Life e-mail address thru federico.l.suanjr@sunlife.com.ph. 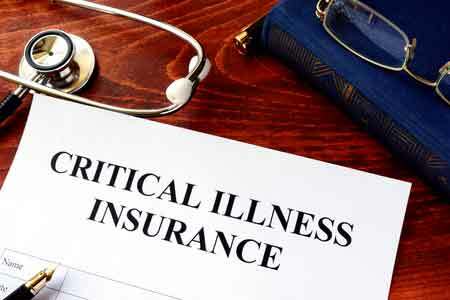 DISCLAIMER: This website reflects only the views and opinions of the author, Federico Suan, Jr., and is not part of any official communication tools of any life insurance and investment company. The author has no responsibility against the comments posted by visitors. Necessary actions will be done accordingly as the website has no intention to malign its readers from factual information. Constant efforts is done by the author to bring precision in every post.